Tennessee is a beautiful state to drive through but the foliage isn't the only great thing to see. Every summer and fall the state fills itself with yard sales that would please any picker. You can find all kinds of goods on sale. If you're looking for a Tennessee highway yard sale or antique trail, check out this list of the biggest and best citywide, community, and highway yard sales in the state. Historic U.S. 31 W was once a buffalo trail. Now, during the second weekend each September, it's a 150-mile yard sale trail called the 31W Treasure Hunt / Yard Sale. The 31W Treasure Hunt / Yard Sale route runs from Louisville, Kentucky to Nashville, Tennessee. The four-day event always takes place on Thursday through Sunday. West Tennessee's Benton County Bargain Highway takes place every Labor Day weekend. Started in 1998, the Benton County Bargain Highway typically features between 150 and 200 individual sales along its 30-mile route. Tennessee's Highway 70 Yard Sale takes place each June. The 200-mile Highway 70 Yard Sale route starts in Memphis, goes through Jackson, and ends in Nashville. The Jackson area is particularly known for having lots of participants. Thinking about the World's Longest Yard Sale (aka the Highway 127 Corridor Sale) makes the hearts of most yard sale fans beat a little faster. Tennessee shoppers can drive part of the route without even leaving the state. The Highway 127 Corridor Sale starts on the first Thursday of each August. In total, the event includes six states and nearly 700 miles of yard sales. Hunt for yard sale finds amidst lovely fall foliage each year at the Hwy 411 Yard Sale. The four-day event takes each year in late September or early October. The Hwy 411 Yard Sale starts in Alabama and runs through Tennessee's Smoky Mountains. It also has stops in Georgia. In total, the route spans more than 250 miles. Enjoy a long autumn weekend driving the 150-mile route of the Roller Coaster Yard Sale each year. The fall foliage and fabulous yard sale finds more than make up for the winding, twisting path. The Thursday-through-Saturday event is usually scheduled during the end of September or beginning of October. Explore Appalachia while you hunt for treasure each year at the U.S. 11 Antique Alley & Yard Sale. Started in 1997, the U.S. 11 Antique Alley & Yard Sale takes place each May on the Thursday through Sunday after Mother's Day. 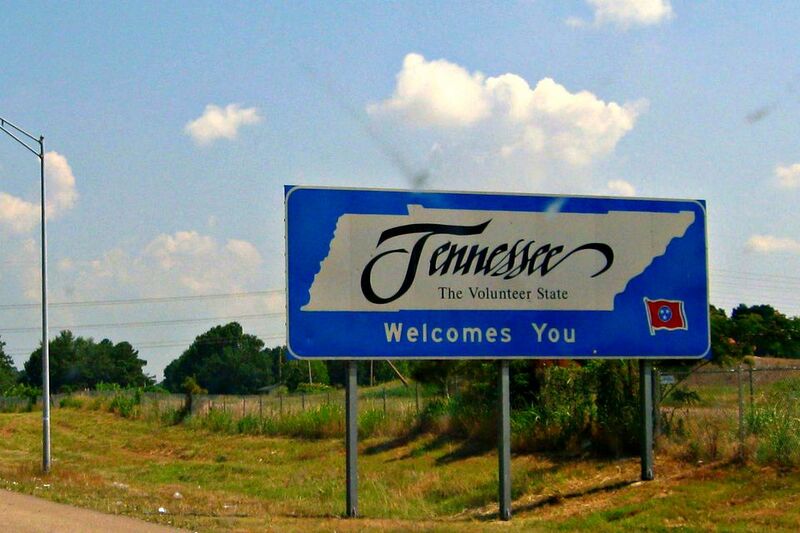 The five-state route (which includes Tennessee) spans more than 500 miles of U.S. Highway 11.